Walmart is aiming to keep consumers happy and returning to their store once the economy improves. Over the last decade, the company had lost customers as they frequented the newer stores of its competitors such as Target. 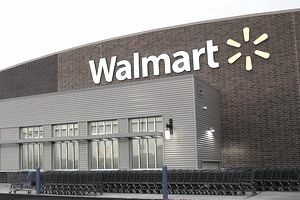 By implementing Project Impact Walmart is renovating its stores in the US by widening the aisles, lowering fixtures, improving signage, and adding natural light to give consumers a store that fees friendlier. The first of the three initiatives is called Save Money, Live Better. This initiative has a number of components that Walmart is following. Price Leadership: The Company is well known for its “Everyday Low Pricing”, but Walmart is aiming to give the consumer greater value for each product category. By achieving price leadership Walmart hopes to ward off attempts by other retailers such as Target from gaining market share. Consumables: This component is an area where Walmart is looking to reduce outlay. Changes will be made in promotional cadence, seasonal advertising, and in-store signage. Private Label: One area where Walmart can increase revenue is to expand their private label categories. The current economic climate has consumers looking to save money and the value of Wal-Mart’s private label products should be good for the consumer as well as the company. Integrated Brand Communication: Although Walmart is looking to reduce the overall number of suppliers and products, the company will be looking for remaining vendors to increase co-branded advertising campaigns. Leverage Selling General and Administrative Expenses (SG&A): The Company can ask suppliers to introduce efficiencies in the transportation of items. This can be the supplier to the distribution center, distribution center to the store and also within the store. This initiative sees Walmart optimizing the products in each of its stores. Reducing the number of products, and perhaps reducing the number of overall suppliers, Walmart can encourage suppliers to reduce prices. It also produces an opening for private label products and subsequently increased revenue. With regards to product optimization, the plan is to put each of the product categories into one of three buckets; win, play or show. Win: This is the top priority categories for Walmart. With these products, the company aims to gain market share, be first to market on all new products, lead with price and value, as well as stocking an assortment of items. Play: These are strategic categories. Walmart will be aiming to grow these categories, but using a balance growth and profit in the context of overall market performance. Vendors who find themselves with products in this area should be looking to aggressively market to Walmart so that their items are not removed from store shelves. Show: This category is where Walmart can reduce the number of products they stock, but not exit the category altogether. For example, Walmart has decided to go from four plastic food storage bag brands in its stores to only two. Pactiv Corp.'s Hefty and Clorox's Glad brand products have been removed from store shelves, leaving SC Johnson's Ziploc and Walmart's own Great Value private label the only products to be displayed. Merchandise Flow: Walmart has a merchandise replenishment cycle of no more than 48 hours. Wal-Mart has adopted efficient processes such as cross-docking which as reduced operating costs, increased throughput, reduces inventory levels and eliminates unnecessary handling and storage of the product. Zero Waste Facilities: Sustainability is a key component of Walmart’s green policies. The company is dedicated to maximizing the efficiency from the raw material phase to the manufacturing phase, from supplier to distribution center, from distribution center to store, stockroom to the shelf, shelf to the consumer, from store to home, from the pantry to consumption with the ultimate goal of Zero Waste. Supply Chain Transformation: Walmart is working to improve efficiencies in the supply chain and especially in transportation. The Company has seen some successes such as a 21 percent increase in fuel efficiency (MPG), 5.5 percent increase in pallets per truck, 6.5 percent reduction in empty truck miles and 3.8 percent increase in cases shipped with 7.8% reduction in miles.